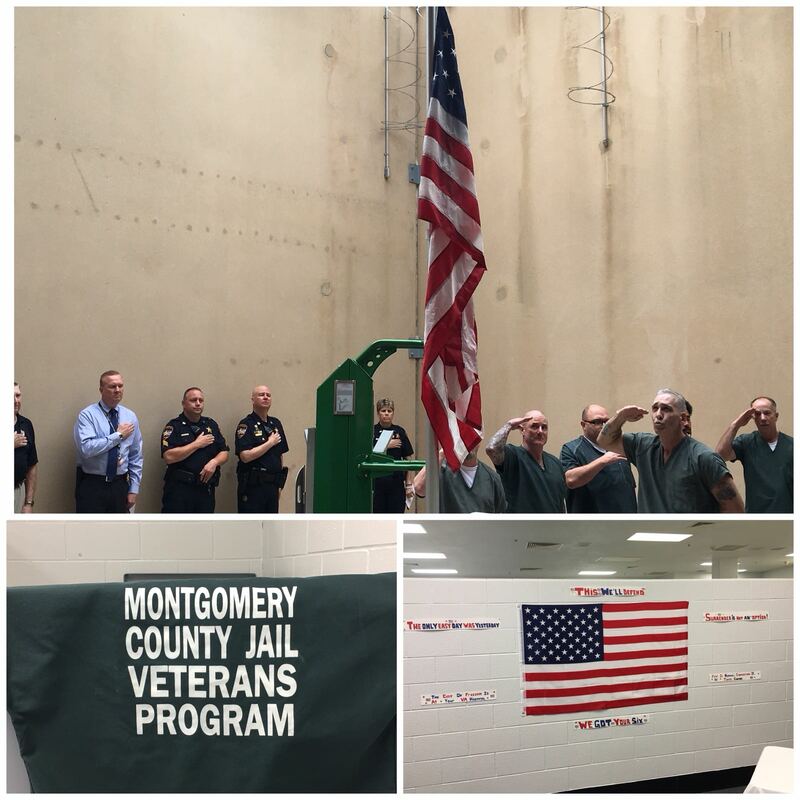 On May 1, 2017, Montgomery County Sheriff Rand Henderson, seeing a need to assist Montgomery County’s large veteran population, implemented a new jail program titled, V.E.T.S (Veterans Embracing the Tools for Success). V.E.T.S is designed to bring Veteran services directly to Justice Involved Veterans incarcerated in the Montgomery County Jail. During the planning process of the program, we noticed early on that many Veterans had little knowledge of what resources are available in our community despite their abundance. The goal of the program is to provide these Veterans with the resources available in one central location while allowing them the opportunity to embrace their military culture and structure that many of them still crave. 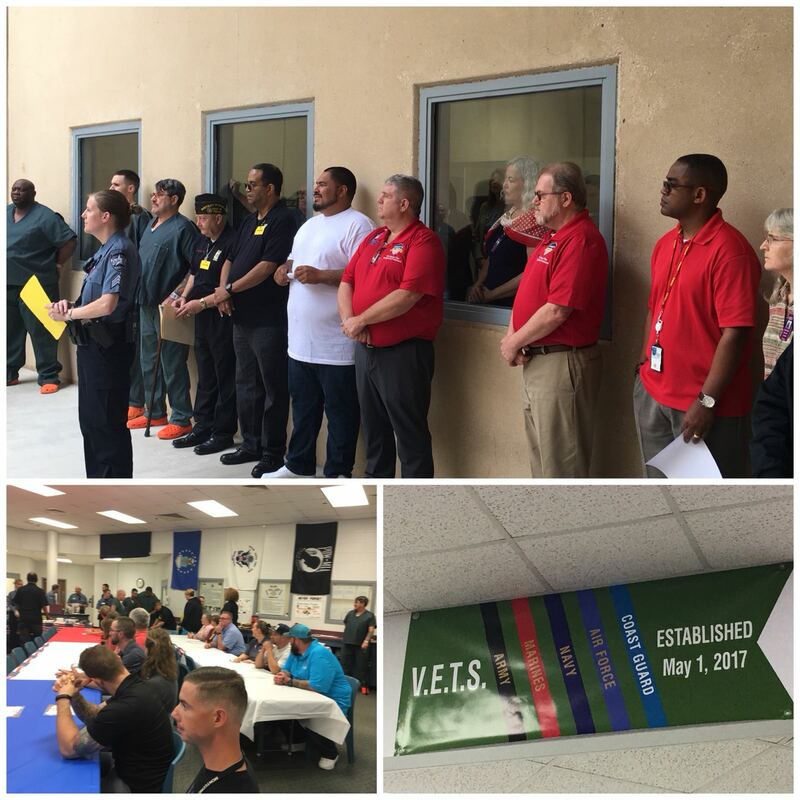 On May 1, 2018, The Montgomery County Sheriff’s Office celebrated the one year anniversary of the V.E.T.S. Program. Since the program’s opening, over 170 Incarcerated Veterans have joined the V.E.T.S. program with an average return rate of 10%. Montgomery County Sheriff’s Office Jail Staff are partnering with different organizations to further address after care needs and employment opportunities in order to decrease the current recidivism rate. The average length of stay in the program for 2017 was 6 weeks and 4 weeks in 2018. During this time, the Veterans work with organizations such as Refuge Trauma & Counseling, Tri County Behavioral Healthcare, Armatus Reintegration, Triumph, the Vet Center, CS Ministries, Veteran Affairs, Montgomery County Veteran Services, Volunteers of America, and many more to improve the Veterans’ overall well-being. Sheriff Rand Henderson would like to thank the men and women of the Montgomery County Sheriff’s Office Jail as well as the county, federal and non-profit organizations for their assistance in making the V.E.T.S. program a success.